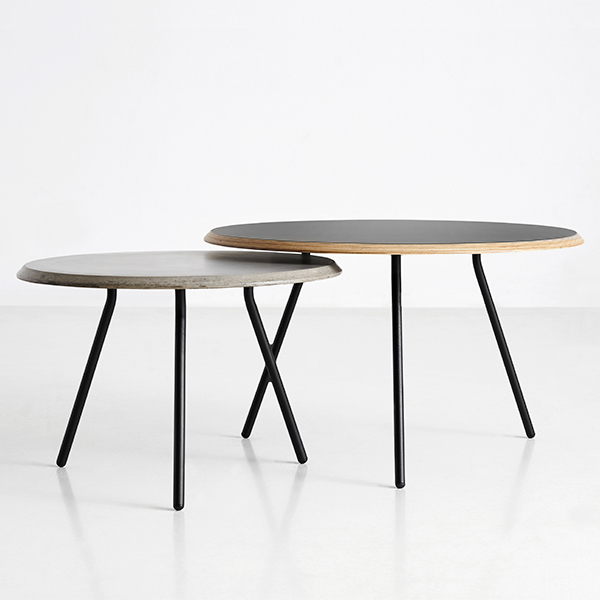 Soround from Woud is a modern, round coffee table that was designed by the Danish design studio NUR. The top rests on three slender metal legs and has a stylish, slightly slanted edge. 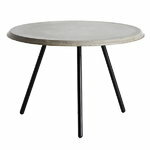 The black version is made of plywood and Fenix nanotech laminate that features an extremely matte and smooth surface, whereas the light grey table top is made of highly polished fibre concrete. 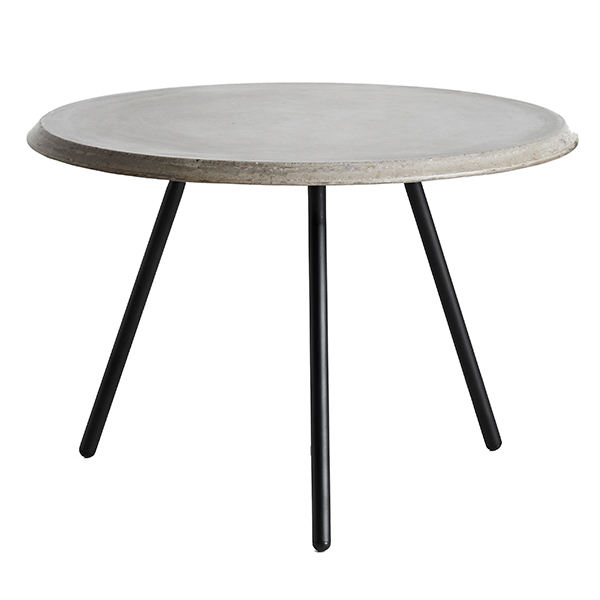 Soround is a perfect piece for any sitting area and, due to the two different heights, makes a great nesting table. 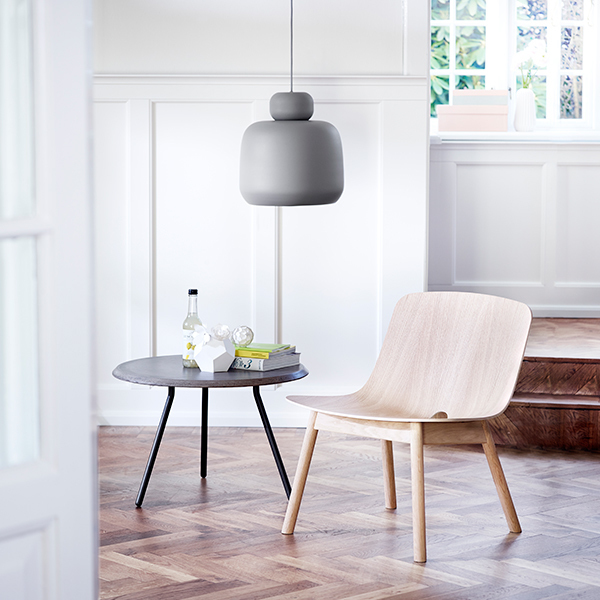 Studio NUR is a Danish design studio founded by architect Maja Bøgh Vindbjerg in 2013. Its name refers to the German word nur, meaning ”simply” or ”only”. 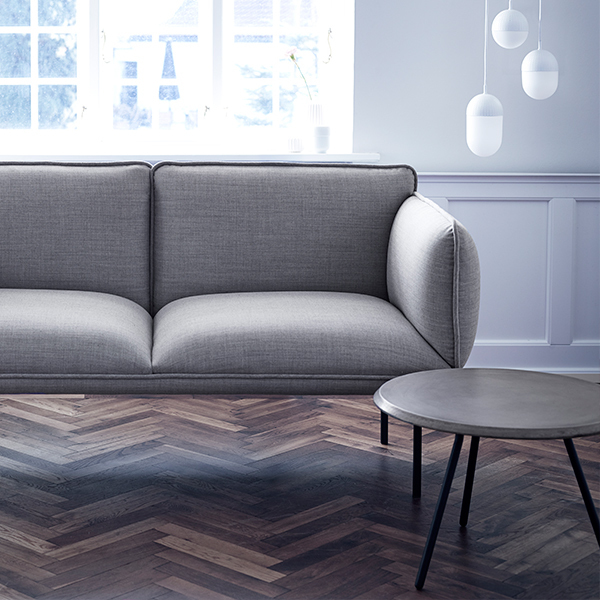 Vindbjerg finds her inspiration from timeless Nordic design traditions, and reshapes them into modern minimalism with a vibrant edge.